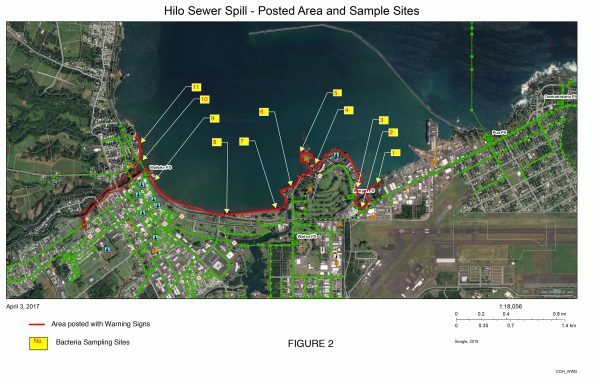 Samples of Hilo Bay water taken after Monday’s sewer spill have indicated some clearing in the water quality farther from the spill, while other areas of the Bay remain signposted and closed to water activities, the County’s Department of Environmental Management (DEM) said. A diagram provided by DEM shows that six water sampling stations out of eleven designated for monitoring was cleared by the Department of Health. The areas are listed on the diagram as sampling stations 1 through 6, which encompasses the harbor area and all of Banyan Drive and its hotels. Signage in those areas was being removed at press time. 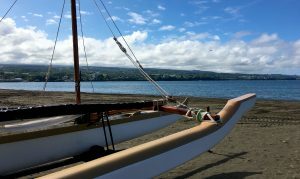 Meanwhile, the area near sampling stations running from the mouth of the Wailuku River east to the Kamehameha Canoe Club shed area remain closed to water activities until the Department of Health rules that the water quality is completely safe. Signage will continue to be posted for the time being. Sampling was conducted today at the sampling stations not cleared yet and will continue until the Department of Health notifies us differently, he said. Sunny weather conditions are helping to mediate the contamination; sunlight helps to break down the bacteria, Kucharski noted. 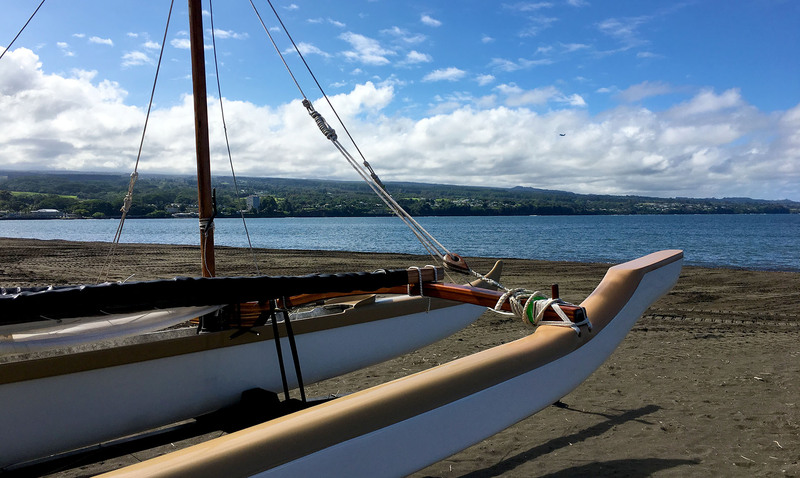 A blocked sewer line sent an estimated 41,000 gallons of raw sewage into the Wailuku River and Hilo Bay on Monday morning, and the public was asked to follow posted signs and stay out of the water. DEM took water samples in the Wailuku River and as far east as Reed’s Bay following the spill. For further information, please contact Bill Kucharski of the Department of Environmental Management at (808) 217-2750. 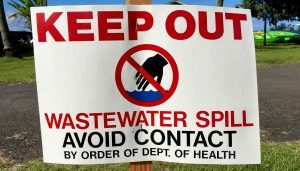 This is a Civil Defense sewage spill information update for Tuesday April 4 at 10 a.m. As a result of yesterday’s sewage spill that entered Wailuku River, Hilo Bay and all beach parks within the break wall area are closed. The blockage in the sewer line that caused the discharge into Hilo bay has been repaired. The County continues its testing of the water quality and conditions will be monitored daily. Residents and visitors in the affected areas are advised to abide by all signs posted along the lower Wailuku River area and Hilo Bay. The signs will remain in effect until the Department of Health determines water quality is safe.